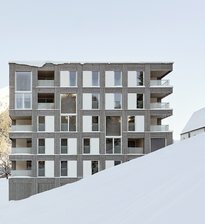 The Guggach residential development lies in the saddle between the two ridges formed by the Käferberg and Zürichberg mountains, at the urban interface between the Zurich city centre and the northern part of town. This central city location is taken up as theme in the concentration of the volumes in two seven- and eight-storey brackets between forest and street. The urban character of the project is underscored by both its architectural expression and the design of the outdoor spaces. The cast glass façade with their dusky tones echo the forest edge rising up in the background while simultaneously projecting artificial qualities in the alternation between the effect of heaviness and dematerialisation. The outdoor areas are dominated by large reflecting pools that make the reflected buildings part of the outdoor atmosphere. 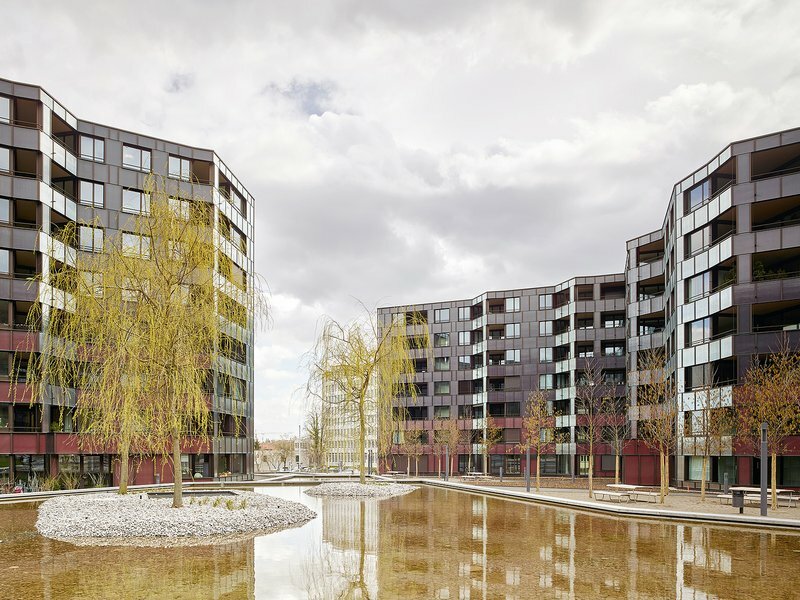 The apartments have cross-shaped floor plans that extend the north-south orientation of the buildings to incorporate all sides so that the living areas can benefit from morning and evening light. 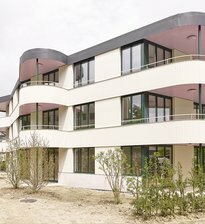 By means of the floor plan, the façade treatment and its dematerialisation, and the design of the exterior spaces, the ensemble evokes a high degree of coherence between urban planning, housing form and architectural identity.